It was a moment that both Loretta and Elias will never forget, with their wedding being everything they could hope for and more. 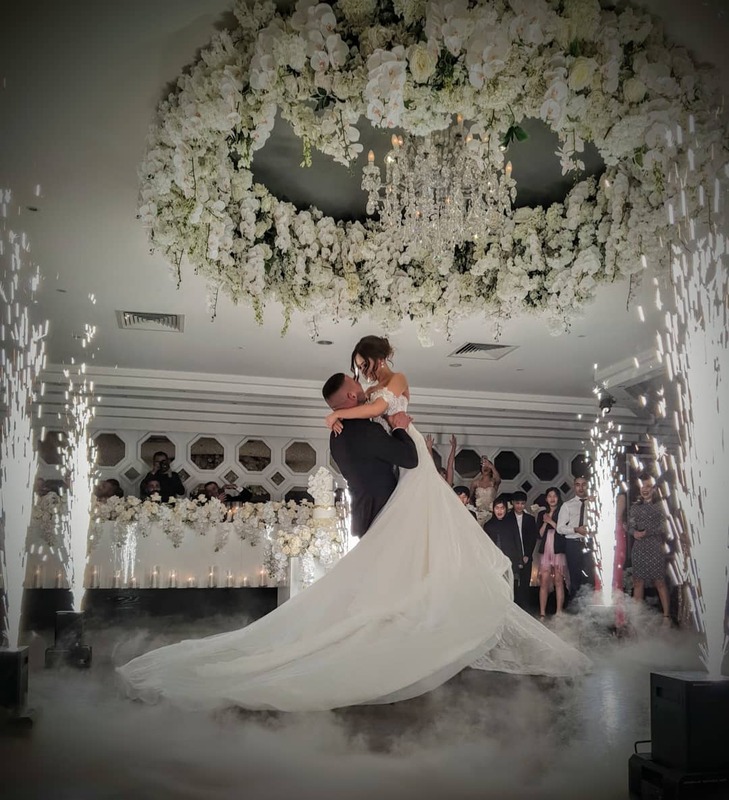 In August, the couple said their ‘I Do’s’ and celebrated this joyous occasion with loved ones at Doltone House Sylvania Waters. Loretta met her sweetheart during high school and they began dating whilst in Year 12. Just three and a half years later, Loretta was surprised on her 21st birthday with a perfect, well organised and heart warming proposal that had her in awe. 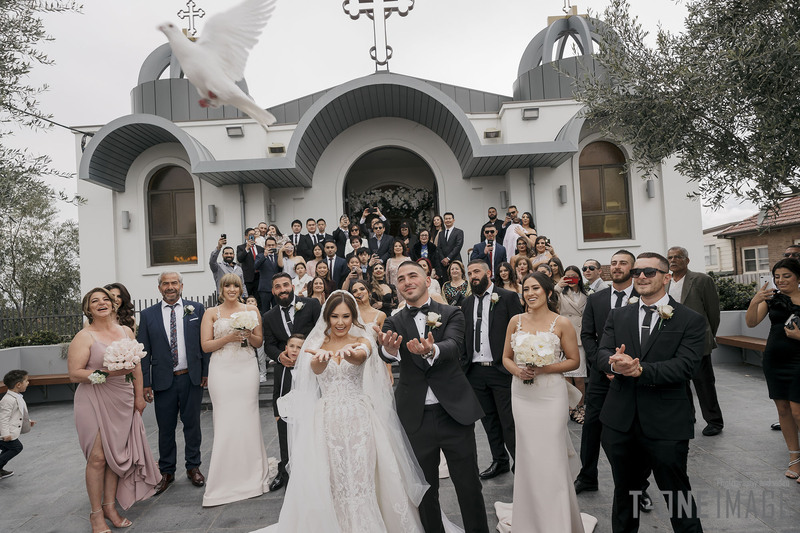 Their ceremony took place at St. Nicholas Antiochian Orthodox Church in Punchbowl. When Loretta entered the church and their eyes met, it was at that moment which will last a lifetime as they knew that in a couple of minutes they would leave as husband and wife. 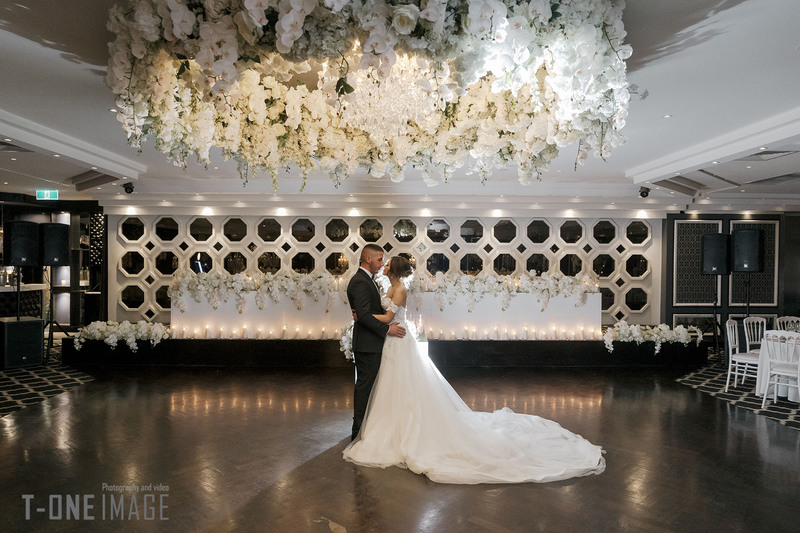 Wanting a venue that was elegant with a fairy tale feel, the moment they walked into the Sylvania Waters venue they knew it was what they were looking for. Having attended events at Doltone House in the past, they were impressed with the quality of catering, which they believed was an “important impact to have at a wedding”. 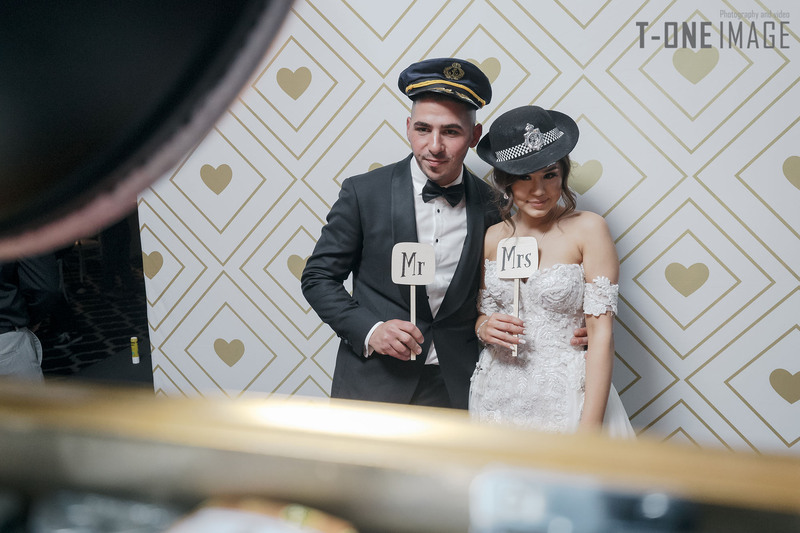 Newlyweds Loretta and Elias turned to Bling Events to help bring their dream wedding to life. 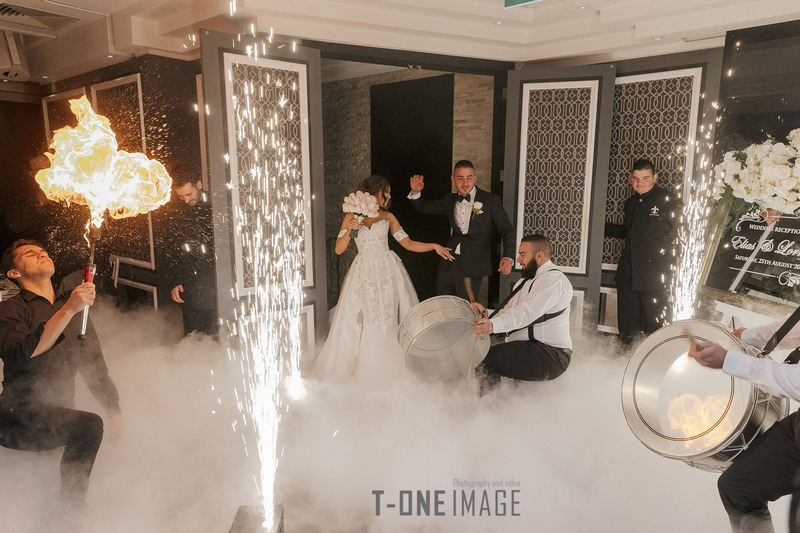 With the magical theme in mind, they wanted to ensure that their guests felt as though they were walking on clouds. 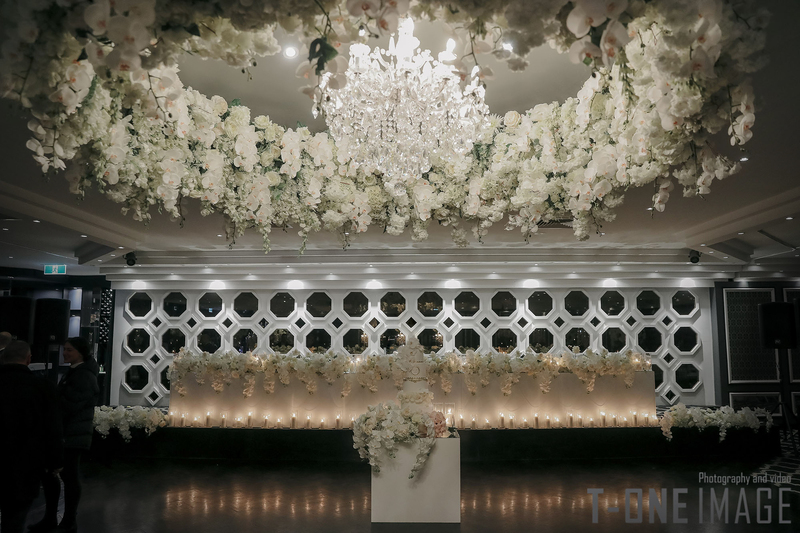 Bling Events made this happen with white floral bouquets that wrapped around the ceiling dome flowing through to the bridal and guest tables, complemented by softly lit candles. 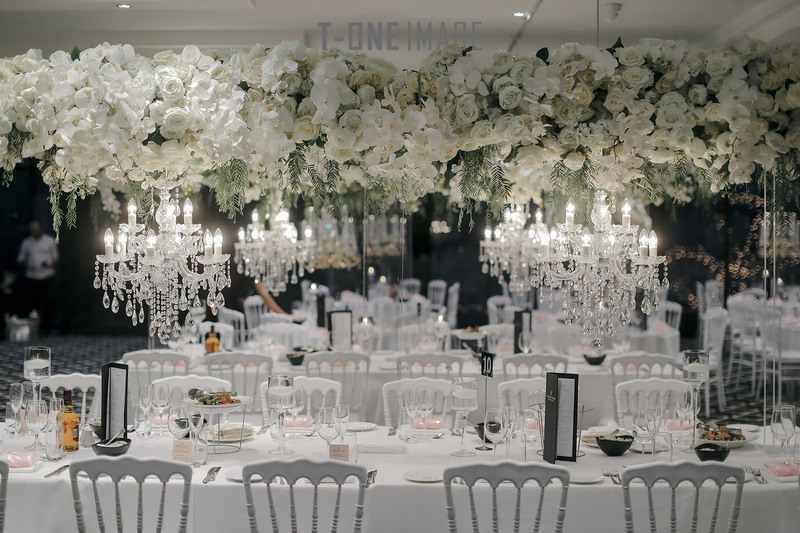 The guest tables featured tall standing centrepieces with white orchards and mini hanging chandeliers for an enchanting celebration. 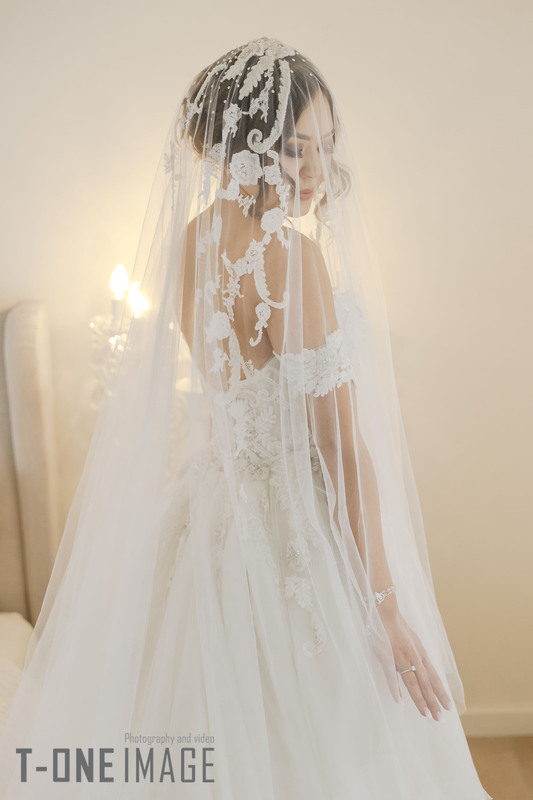 Loretta’s advice to future couples is to enjoy the wedding planning process and never take it for granted and even though things can go wrong, always remain happy “because it really is the best day of your life”.